Yello is a talent acquisition platform that manage and mobilize recruiting processes. "Yello and Steve are AWESOME. " Yello is a fantastic tool, but it's only going to be as good as you make it. Having someone like Steve Landrey as your partner in navigating and customizing the tool makes all the difference, and has allowed us to efficiently streamline our campus recruiting processes. Steve makes excellent suggestions and has helped me to personalize options to make the process feel as authentic as possible. Ask to speak to someone who has recently implemented the system, and see how they're using it to make sure it's a good fit for your needs. It's a game-changer when 100% of your candidates are evaluated before an event is over, and you don't have to hold onto paper resumes anymore. We have also begun using the system to track candidate status throughout the interview process, and are excited to see what other solutions Yello can offer us in the future. This technology helps with managing all campus activities and relationships, tracks essential event metrics, and helps understand trends to improve campus recruiting ROI. This type of technology brings all essential information to one system, so everyone who will be attending the events has access to complete, up-to-date information; i.e., campus contacts, alumni, expenses, internship openings, offer deadlines, etc. Sometimes it errors it out when in kiosk mode. I have realized the importance of engaging our customer groups with automation, technology, and collaboration tools since the way we recruit at hiring events is important to our employer brand. When our teams used a clipboard for candidate registration and collected stacks of paper resumes, candidates took note of our antiquated processes – which does not align with the innovative culture we are constantly referencing. Now, with Yello, because candidates upload their resumes on the spot, we never have to leave an event with a stack of paper. We have all candidate data at our fingertips to easily evaluate at any point on a phone or tablet, without reviewing endless spreadsheets. The system also increases staff efficiency (provides lift for shared services, recruiters, and UR). It also increases the overall improved candidate experience this system creates, as it eliminates paper-based processes to create a digital experience for candidates and recruiters and we are better able to communicate with candidates – both quickly and efficiently since we can email them utilizing one of the many email templates we created in Yello. Jill's responsiveness and assistance have been outstanding. Her knowledge of the product is excellent and she always is able to understand our asks and help us to implement a solution or advise on a best practice. At times there have been features that have been introduced to us that have taken much longer to implement than initially discussed. Although it is improving, there are times when new ideas that we may have don't go far. Event, candidate, and lead management for University Relations. Yello has been a tremendous help to organize events, staff, and leads/candidates for both Campus and Diversity Events. As we utilize more of the features of Yello it has given us more line of sight and information about our events, candidates and staff attending. "Great support from Account manager!" Since launching earlier this year, we have experience very positive and helpful support from our Account Manager Lauren Tafoya. Our experience with Yello providing multiple ways to train our team on the tool as well as listening to our customization requests went above and beyond expectations. We also really like the ease of use on campus and the reliability both on and off the network. We are just know having our team utilize the tool from a marketing standpoint and they would love to have our other tools (HireVue and Workday) integrated. We know that Workday is possible but this will be slow on our end to get through the approval stage. Streamlining the sourcing process for On-campus college recruiting. Establishing consistent communication to candidates. Jennings has been a fantastic support system as I transition into my role at WESCO. He's taken the time to walk me through the system, and provide clarity where needed. He's super knowledgeable of the software and best practices. Looking forward to connecting at Yello19! Nothing, experience has been great so far. Campus recruiting CRM / Talent Networks. Yello is extremely user friendly and simple to use! The customization allows us to create a great candidate experience. "Couldnt do it without Yello! " My account manager, Aaron Adams is the best part about our interaction with Yello. Aaron is extremely knowledgeable about the Yello platform and dedicates the time to help us utilize the technology to transform how our company will attract, communicate and manage candidate interactions on campus. I recently joined Conagra over 6 months ago, and as the Recruiting Programs Manager, I wanted to understand the platform and features thoroughly. Aaron spent over 10 hours helping me learn to navigate through the system and always makes himself available to us (the Yello support team is great too!). Aaron takes great pride in his work and goes above and beyond to provide the highest level of customer service I’ve experienced in over the 10 years I’ve partnered with vendors in the campus space. Aarons attention to detail is unparalleled. I appreciate the level of detail in his follow-up notes, which allows me to refresh myself on topics we've discussed at any given time. His critical thinking skills are exceptional as he can quickly break down complex questions and provide comprehensive responses when explaining Yello’s capabilities and how they’ll integrate into the various nuances of our complicated campus process. Most importantly, Aaron’s actions demonstrate that he cares about customers and owns their success. We feel as if he’s part of the Conagra family! It has been a pleasure working with Aaron and we look forward to our continued partnership. Yello is an amazing tool that has allowed our campus team to automate pieces of our campus process. We now have the ability to complete candidate evaluations, allow candidates to self-schedule interview times, will allowing us to use data analytics to determine the ROI on how effective each event is for us to pipeline candidates. At times the system crashes while attending career fairs. It would also be nice to have a holistic dashboard that shows data/metrics for all events collectively. Real time reporting, scheduling, candidate pipelining and marketing! I think this software works well for setting up an event and collecting information at that event. It's likely that our company isn't using this the right way but it does not function well as an applicant tracking system. I also found the interface incredibly confusing for setting up an event. We are using this product for managing group interviews and hiring events/career fairs. "Yello has a great engine but needs some cosmetic work"
I like how Yello reduces the amount of time I have to spend on "work about work". I HATE the UI, lack of UI/UX design thought, and a few annoying bugs that come up. Too many clicks to get the work done. Be patient with the UI but relentlessly give feedback. I like that Yello is easy to use, retains all information from past events, and gives all our team members access virtually. On the recsolu site, it is very laborious to do any type of search, especially in the events section. Also, in the batch email section, the field for the body of the email does not have an automatic spell check. It would be great if this could be implemented, or if there were a button to click to spell check communication, rather than copy and paste from a Word or other type of document. We are able to electronically collect resumes, evaluation forms, candidate data, etc. After campus/conference events, the time spent on filtering through candidates has significantly decreased. "Yello is very effective in helping our team source candidates and share them with the business." It allows for easy sourcing and candidate sharing. The system freezes quite often, especially on campus. We've also had access issues for some of our colleagues. The team I work with recruits on various college campuses each semester, so it allows us to easily capture candidate information and share it with the hiring managers in an efficient manner. The company is also relatively new, so the campaign piece has allowed us to send additional marketing materials to candidates we've met on campus. I would love to see a better user interface experience on the web platform - more ways to mass update fields that are used across multiple events, ability to see which forms are tied to which events when updates need to be made, ability to filter candidates from the event level. "Our Client Success Consultant, Jill G., ROCKS! " Our Client Success Consultant is competitively urgent, a subject matter expert, assists in providing better opportunities that help our companies objective, and is available 24/7! Our experiences with Yello have been GREAT thanks to Jill! I am a huge fan of the Yello tool to build the Cintas brand on campuses across the US. "Yello makes me want to Yello (in a good way) "
The self-scheduling feature is so user-friendly and saves me a lot of time. I like the tagging and folding feature to track my pipeline. Also, the metrics with the campaigns, show very useful information. The sorting and filtering of candidates in the submission dashboard can be a little clunky at times and doesn't always give me the reasons I am looking for. However, I know they are working on fixing this. Self-scheduling for large volumes, sourcing, and candidate outreach for a high volume. "Great customer service all around"
Our recruiting practices now become much more streamlined and we're able to better track our successful events. "Yello has been a powerful recruiting tool however more in person training would be helpful"
The Yello Pro platform is much more intuitive. I also appreciate the fast support from the Yello Support team. Lastly, Steve Landrey has greatly improved our relationship with Yello and I cannot thank him enough for his support. "Good, but need some improvements "
Not as user friendly as i would hope. Some aspects of the program seem illogical like when assigning evaluations. Making the program more logical and user friendly by reducing the amount of clicks to complete a simple task would be helpful- but i still enjoy using it and it serves its purpose. 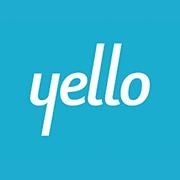 "Talent Acquisition Software for large Enterprise"
Yello helps extend functionality for events, talent relationship management, texting, video interviewing and other uses. * We monitor all Yello reviews to prevent fraudulent reviews and keep review quality high. We do not post reviews by company employees or direct competitors. Validated reviews require the user to submit a screenshot of the product containing their user ID, in order to verify a user is an actual user of the product. Hi there! Are you looking to implement a solution like Yello?